Top 15 Shoes for Foot Pain! 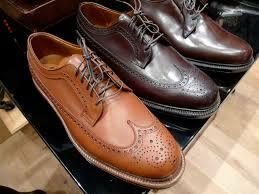 Podiatrist Recommends Shoes to help with foot, knee, hip and lower back pain. Top 15 Shoes For Foot Pain! Rx Crocs Relief, Ultimate Cloud, Specialist or the Mammouth are my top picks for bedroom slippers. They are prescription strength and they are approved by the American Podiatric Medical Association for diabetic patients. 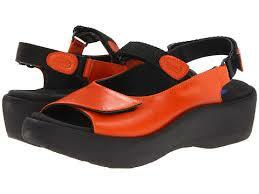 The Rx Crocs Relief are being discontinued soon, but they can still be found online. The next best option is the Crocs Specialist (without the vents). As a general rule, the only time you should be barefoot (and standing) is when you are in the shower. I recommend that you wear Rx Crocs as soon as you get out of bed in the morning and also in the night if you get up to go to the bathroom. As soon as you get out of the shower, put on the Crocs. I treat many foot injuries that happen between the bed and the bathroom at 3am! The Crocs could potentially save you from broken toes, foreign bodies, warts, heel pain (to name a few) and, for geriatric patients, they will significantly decrease the risk of falling. Not all Crocs are good. In fact, many styles of Crocs are terrible, so try any of the ones listed above as they are the best of all of the Crocs. The Crocs are only meant to be worn to putter around the house. Once you are ready for your day, you should put on more supportive shoes, which I will cover later in this article. If you stop walking barefoot and flimsy bedroom slippers and switch to one of these Crocs, you should see about a 30% decrease in foot, knee, hip and lower back pain within 3 weeks! 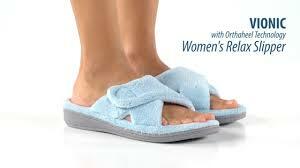 Even thought the Vionix Relax Slipper doesn’t have rearfoot control, this is an excellent option for bedroom slippers. The Crocs work for about 95% of people, but they do not work for everyone. If the Crocs aren’t working for you, the Vionix Relax Slippers may be perfect for you. What makes them so good is that they have a thick, rigid and nonflexible sole with good arch support and lots of cushion. The straps are adjustable to accommodate for swelling. If you like your foot comfort with a bit of Granola, then this is your shoe! 1. A thick, rigid and non-flexible sole with a wide base. Less motion through injured or painful joints means there will be less damage and irritation to these areas. The concept is counterintuitive. Less motion through painful joints means less inflammation, less swelling, less pain and it improves healing and biomechanical function. There is a false idea out there that the foot needs freedom and motion. The problem is, you have 28 bones in each foot and some of these joints (particularly in the midfoot and rearfoot area) have only a limited amount of range of motion. If you are wearing a super-flexible shoe, then you are allowing too much motion through joints that aren’t supposed to have that much motion. The result can be broken bones, tendon and ligament injuries, arthritic joint changes and degenerative joint disease. Once your foot hurts and you are limping, it is just a matter of time until you have knee, hip and lower back issues. A shoe with a thick, rigid and non-flexible sole is crucial for good joint health. 2. Wide toebox. A wide, soft toebox will decrease pressure on the toes, which will slow the progression of hammertoes, bunions, corns and arthritic joint changes. 3. Rearfoot control. In my opinion, even the best flip-flip is not good enough for your feet! If your shoe doesn’t have rearfoot control then you are forcing your tendons, joints, ligaments to work harder to stay in the shoe, which causes tired leg syndrome, inflammation, increased risk of injury and more strain on the knees, hips and lower back. If you are wearing shoes without rearfoot control then you have to grip down your toes to stay in the shoe, which promotes hammertoes. 4. Arch support. If there isn’t arch support built into your shoes, you can often add custom-molded orthotics or an excellent over-the-counter insert like Powerstep or a heat-molded insert that you can get through your Podiatrist. If you don’t think you need arch support because you have high arches, consider this: bridges have arches and engineers still put struts and supports under them. Arch support helps to decrease mechanical strain and slow the progression of bunions and hammertoes as well as help with knee, hip and lower back pain. Ten percent of people cannot tolerate arch support. If arch support hurts your feet, then discontinue wearing them and focus on excellent shoes with rigid, non-flexible soles. 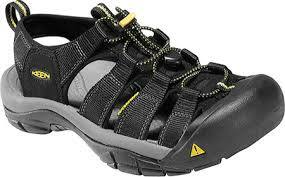 The Keens Newport H2 is a great amphibious sandal that you can wear to the beach. For anyone with foot pain or if you are recovering from a foot injury, you should wear this when at the beach and walking into the sand and even into the surf. This is also a good choice for anyone doing weight-bearing exercises or water aerobics in a pool. 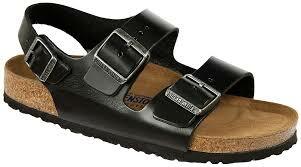 I recommend that you purchase this sandal in the store because quality greatly varies. You will need to make sure that you only purchase the ones that have the least flexible soles. I find that at least 10% of the time shoes are defective, broken or poorly made. Always double-check the rigidity of the soles before you purchase them. If they are flexing, ask the salesperson to get you another pair. The Ecco Yucatan is a great choice for many people and has the added advantage of extra cushion in the insole and better than average arch support. Once again, quality varies so only purchase them if the sole does not bend or flex! 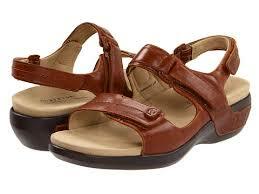 The Fit-Flop sandal is a good choice for anyone who has excessively large bunions and hammertoes. The Fit-Flop flip-flop is carried by many stores, but the Fit-Flop sandals are harder to find and you usually have to purchase these online. 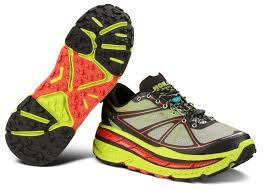 The quality of the sole varies and you only want to purchase the ones that have a more rigid and non-flexible sole. Less motion through the forefoot area means less irritation to the forefoot area, which means that a rigid sole will help with metatarsalgia, Morton’s neuromas, capsulitis, plantar plate injuries, arthritic joints and will slow the progression of bunions and hammertoes. 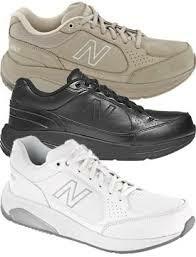 The New Balance 928 is the best walking shoe that works for the vast majority of patients. The NB 928 has roll-bar technology that doesn’t allow motion through the bottom of the foot and therefore protects your foot joints. It has an extra-depth toebox, which means that there is less pressure on bunions, hammertoes and painful corns. The NB 928 accommodates custom-molded orthotics and can often accommodate custom ankle-foot orthosis (AFOs) for patients with more serious issues. Once again, I highly recommend that you go to the store to try on this shoe. Quality varies and if you happen to find one that has a flexible forefoot sole – don’t buy it! Ask the salesperson to get you another pair from the storeroom. They may not understand why as this concept is not common knowledge. You can blame the extra trouble on me – just tell them that your podiatrist insists that you wear shoes that don’t allow any motion through your forefoot joints. 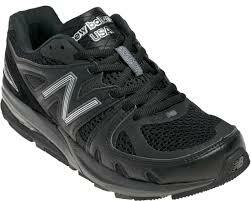 The NB 928 also comes in black leather and dark brown and can be worn as a work shoe with casual business wear. If you have a strict dress code at work, your podiatrist can write a prescription stating that it is medically necessary for you to wear this shoe at work. If the NB 928 don’t work for you, then this is your next best bet. 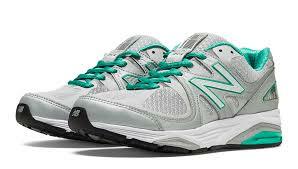 The NB 1540 is an excellent shoe that also has roll-bar technology and an extra-depth toebox. The Hoka shoes were designed for runners who have been told by a doctor that they should never run again because of knee, hip or lower back pain. If you are a runner who is starting to experience joint issues or if you are a runner who wants to prevent issues so that you can get more years of running – this is a great choice! I like the Hoka Stinson better than the other Hoka styles because it has a sturdier sole, which means that the shoe lasts longer. The Hoka Stinson has three times the support and cushion as any other running shoes, which makes this a great choice for anyone with heel pain. This is an all-terrain running shoe and has a grippy-bottom, which decreases the risk of slipping when you are trail running. The Danko Professional Clog is not for everyone! This is an amazing shoe for anyone who works long hours on smooth, concrete floors. It doesn’t work well if you are walking on uneven surfaces or cobblestone. 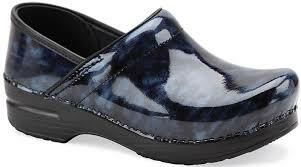 The Dansko Professional Clog is perfect shoe for anyone with Hallux Limitus (limited range of motion through the 1st toe joint), Hallux Rigidus (no motion through the 1st toe joint), metatarsalgia and arthritis of the forefoot joints. 1. Thick, rigid and non-flexible sole. I highly recommend that you go to the store to try these on. You will know instantly if you love them or hate them! This is my go-to shoe for work and I love them! Expensive, but worth every cent! This shoe is amazing because it has a true full-length metal shank built into the sole. There is simply zero motion through the sole, which means that they are amazingly comfortable. If the toe box was wider and less tapered, this could possibly be the most comfortable dress shoe that I have ever come across. Many shoes claim they have a metal shanks built into the sole, but they are usually referring to a 2/3 metal shank that only controls the midfoot and not the forefoot. For a metal shank to be effective, it must be the length of the entire shoe and it has to be strong enough to stop all motion. Unfortunately, there are many poor quality, 2/3 length shoe shanks out there. 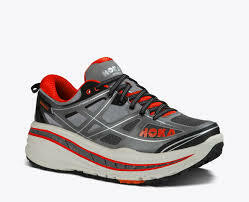 This is an excellent maximum motion-control running shoe that meets all the criteria that is required for foot comfort. This is also an easy shoe to get teenage boys into because it’s not orthopaedic looking and they love the name! If you don’t have custom-molded orthotics, you can get Powerstep inserts online and it will replace the insole within the shoe for better arch support. This sandal can be purchased at your local New Balance store. This is an excellent choice for more mature patients who need the rigid sole but also like the extra cushion on the insole. The quality of the sole varies, so make sure that you only purchase them if the soles have as little motion and flexibility as possible. Great choices for anyone looking for a comfortable sandal! 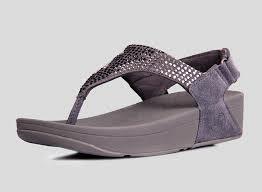 The These Wolky sandals work for most of my patients. Make sure you only purchase ones that have a rigid, non-flexible sole and, to do this, I would recommend that you purchase these in a store so you can try them on and test them. The insole has a little cushion and has decent arch support. The strapping allows for more biomechanical control, which is beneficial for anyone recovering from a Lisfranc’s injury. 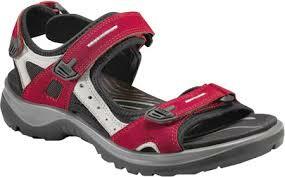 The sandal can also accommodate a standard ankle brace. 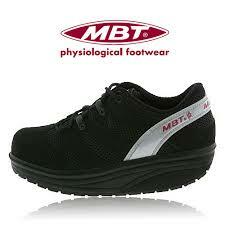 The MBT’s are excellent shoes, but they are not for everyone! The MBT’s have a rocker-bottom sole, which is the same sole that is on a below the knee walking boot, which is what is used to treat broken bones. No motion through the bottom of the foot equals less pain through bones, joints, tendons, ligaments, which will allow for all-day comfort and facilitated healing. If you have a history of Achilles Tendonitis – do not wear any rocker-bottom shoe! 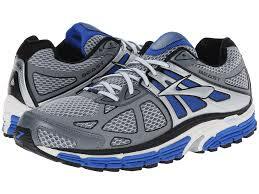 If this shoe ‘rocks’ you backwards and puts excessive stain on your Achilles tendon then it can cause a tendon injury. The MBT’s are also not recommended for anyone with hypermobility, ligament laxity, muscle or leg weakness, balance issues or a history of tendonitis. I hope that this was helpful and I sincerely thank you for reading my blog. Please share this article on social media so we can hopefully benefit others who are suffering with foot, knee, hip or lower back pain.